HEUFT X-ray technology Part 4: Full and good! News News HEUFT X-ray technology Part 4: Full and good! Part 4 of our series on the unique HEUFT X-ray technology highlights its wide range of applications when filling beverages – above all but not only with regard to the increasingly important full container inspections. These were searched for in vain along beverage filling lines for decades. But in the meantime there are more and more: X-ray systems for inspecting full containers are very much in trend! They are increasingly becoming the norm not only with the big players. 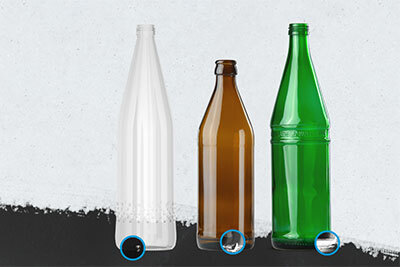 Even small and medium-sized manufacturers can hardly avoid solutions which detect safety risks in and on the beverage container directly after the filling process. No wonder! After all they want to supply their customers with a perfect end product in documented top quality, prevent liability cases and product recalls effectively and safeguard the brand image sustainably. And those who want to continue to see their goods on the shelves of the large retail chains in the future are also under tremendous pressure regarding certification. 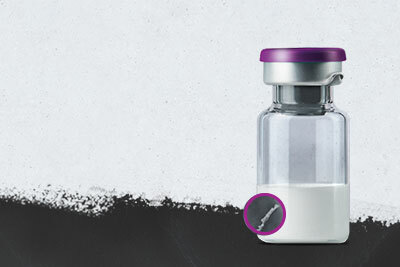 Using the best available techniques is required in order to ensure all this and to meet the requirements of standards such as IFS Food, BRC or DIN EN 22000. For many years these were limited to modular systems for an empty container inspection from HEUFT. But now new full container inspectors for a wide variety of products, packaging, applications and installation positions define the state of the art. Especially when their X-ray technology combines full detection power with an unequalled low radiation exposure. The HEUFT eXaminer II XOS is the first choice for the high-precision complete inspection of full transparent bottles made of glass or PET. It identifies glass splinters, metal fragments and all other high density foreign objects at the bottom of the container particularly gently and precisely with cleverly arranged X-ray strobes which are only activated for a maximum of a thousandth of a second when a bottle is actually in the detection area – even if they are covered by the base dome, embossing or other material structures. The same applies to containers with defects and chips. In addition the fully equipped flagship of the range incorporates sophisticated optical technologies in order to also find mould, hair or even transparent film in the bottle – both on the base and when floating freely in the drink. 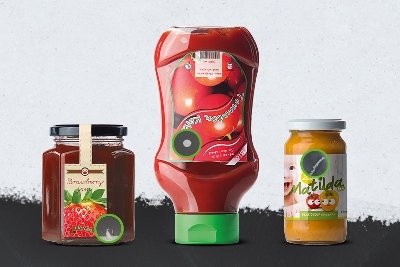 Camera-based procedures cannot be used when the packaging material is completely opaque. The required transparency is simply lacking. 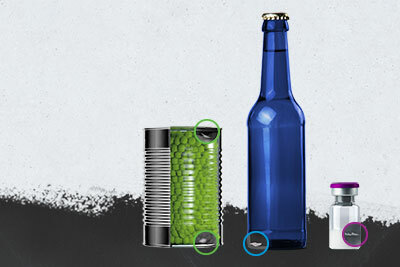 Therefore a more compact system which operates solely with the pulsed radiometric measurement available exclusively from the technology leader is best suited for opaque primary packaging materials such as beverage cans made of tinplate / aluminium or even dairy bottles made of plastics such as HDPE: the HEUFT eXaminer II XAC full container inspector with the hygiene-optimised HEUFT CleanDesign offers the same outstanding detection performance for a detailed examination of the container base as the fully equipped premium system. A double X-ray flash sidewall inspection can also be integrated into the modular system of the new generation which fully covers more than 360 degrees of the container volume for products with a higher consistency such as liquid food and smoothies: solid foreign objects which can cause difficulty in breathing and serious injuries if swallowed are therefore also found by it when gravity has not pulled them down to the bottom but they are still stuck in the middle of the rather paste-like product. It also identifies safety-relevant packaging defects such as finish chips or cracks in the container wall reliably. For those who do not have enough room along their line for the HEUFT eXaminer II XAC and are instead looking for a particularly slim entry-level solution with careful and precise pulsed X-ray technology for a reliable full container inspection directly at the conveyor should have a closer look at the brand new HEUFT eXaminer II XS. The compact solution originally developed for the food industry also provides excellent results during the in-line examination of full drinks cartons or stand-up pouches filled with liquid products. The complete coverage of the total volume is possible with two optimally positioned X-ray strobes in extremely space-saving casings for such "simple" packaging without complex base structures. One illuminates them from the base to the middle at an angle from below for this purpose. The rest is covered by the second module which emits its X-ray pulses directly and horizontal to the fill line. Foreign objects and defects are thus visible everywhere regardless of their position. At the same time the pulsed X-ray technology carries out the first fill level detection which can be further refined by the uncomplicated integration of additional X-ray measuring bridges. Therefore it goes without saying that due to all these advantages the powerful full container inspection of the new HEUFT eXaminer II generation, which can also be implemented in a top-down arrangement depending on the application, is also increasingly becoming the norm when filling drinks. No wonder! Its unique X-ray flash modules generate crystal clear images without motion blurs even in the high-speed section with minimum radiation which are processed in real time by the HEUFT reflexx² image analysis with learning ability. However they cannot completely replace an empty bottle inspection. After all it is always better and more cost-effective to detect contaminated or damaged packaging and to remove it from the production flow before the valuable beverage has been filled. Therefore corresponding systems remain indispensable particularly along returnable lines. Especially when, like the HEUFT InLine II IXS, they demonstrably increase the detection reliability when identifying optical barely perceptible glass splinters in residual liquid at the the bottle base by up to 29 per cent – with pulsed X-ray technology available exclusively from HEUFT! HEUFT X-ray technolgy Part 2: Simply seeing everything!